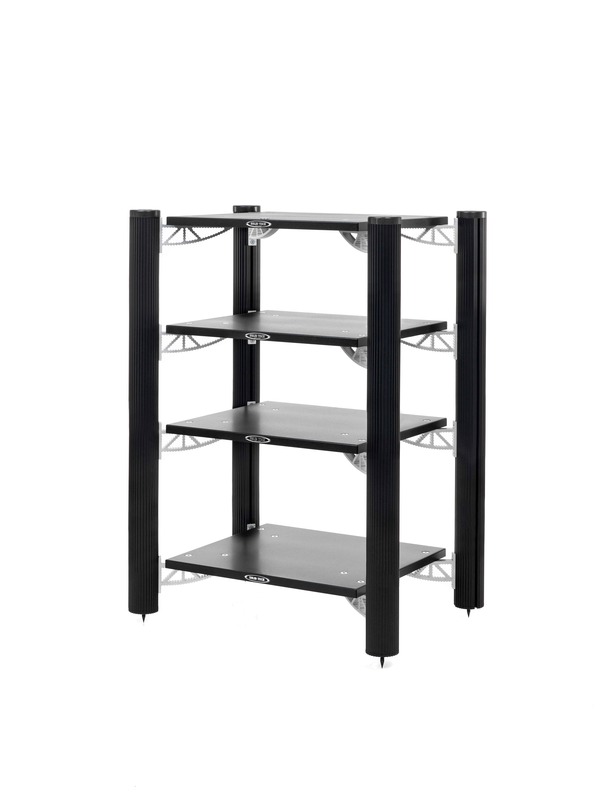 The picture shows a Hybrid rack composed of 900mm Corner-Pillars, three Hybrid-Shelf-Kits and a dedicated Hybrid TT-Shelf on top, supported by the unsurpassed Hybrid Isolation System. 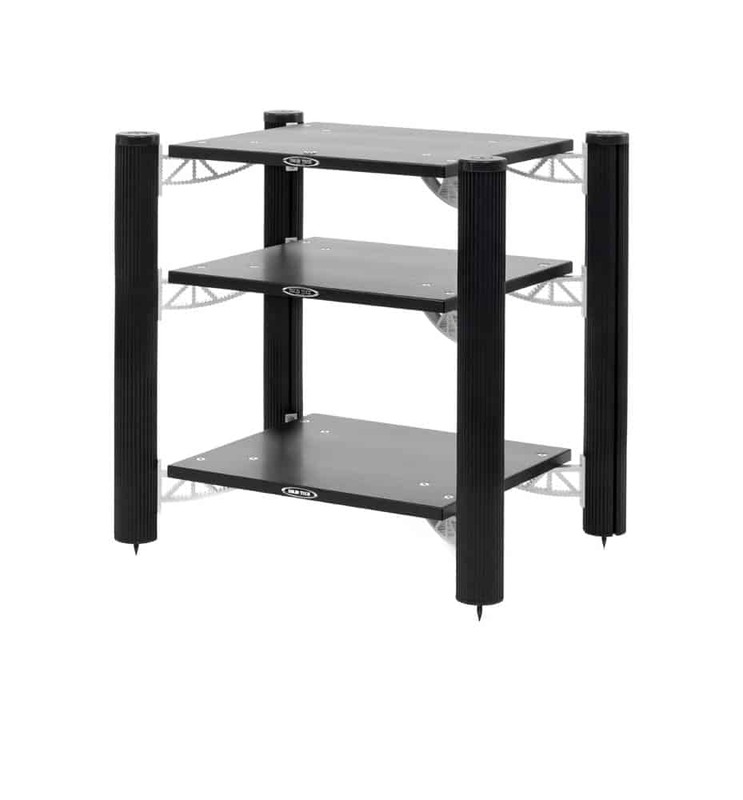 The total available space between the three shelf trays is 680 mm. If one more shelf would be added the total available space would be reduced to 615mm. Of course the total space can freely be appropriated when the shelves are infinitely adjustable along the corner-pillar length. For you who prefer ultra rigid solutions we can offer Hybrid with 670 mm corner pillars in a the Hybrid full length solutions. Unsurpassed isolation system that isolate each level from each other as well as from the floor. 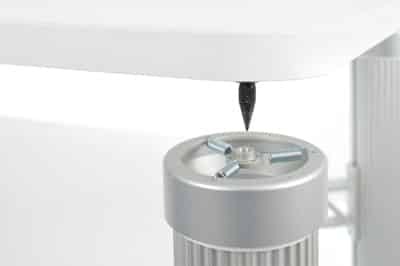 The Hybrid Isolation System consists of a special version of our Disc of Silence isolator that is securely attached to the pillar with one screw in the center. The system has the same performance and can be configured exactly as the Discs of Silence but has a 15% weight reduction in capacity compared to Discs of Silence. The hybrid 180 mm sideboard is a perfect compliment to the Hybrid rack. The multi usage purpose of the sideboard are for example: holder of RIA amp, CDs, remote controls, etc... The sideboard can be on either side of the rack and fully adjustable in height just like the normal Hybrid shelfs are.